We offer 4 very comfortable and beautifully furnished apartments for 2-8 persons in our family-run house in the ski resort Ischgl. 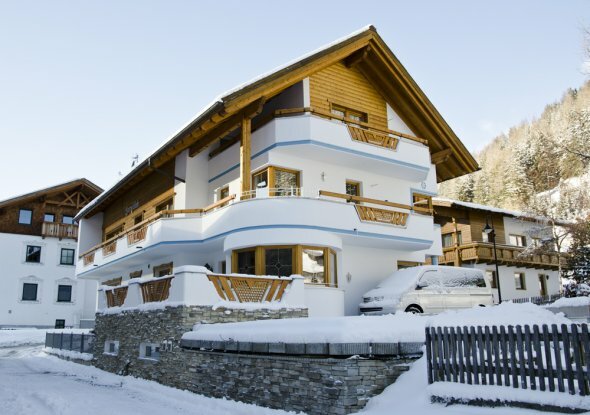 The house is located in a sunny and quiet location in the Ischgl district Mathon. Here you can really enjoy your well-earned holiday away from the hustle and bustle but also fully immerse yourself in the action. The excellent bus link to Ischgl - more than 40 shuttle-buses per day (in both directions) - ensures both a stress- and car-free holiday. Plenty of parking spaces and a garage are right next to our house and the bus stop is just 20 meters from Bergblick. In the immediate vicinity you will also find a complete infrastructure with restaurants, ski rental and shops. After a nice and eventful day of skiing, you can first put your skis in our ski cellar with a boot dryer and then use our in-house wellness area, free of charge. Let your soul simply dangle a little and allow yourself and your body rest and relaxation. Upon arrival you will receive an Ischgl guest card, allowing you to receive many discounts, for example the VIP ski pass for Ischgl / Samnaun which allows you unrestricted use of the 44 modern gondolas and ski lifts and 238 km of perfectly groomed slopes in the Silvretta-Skiarena. 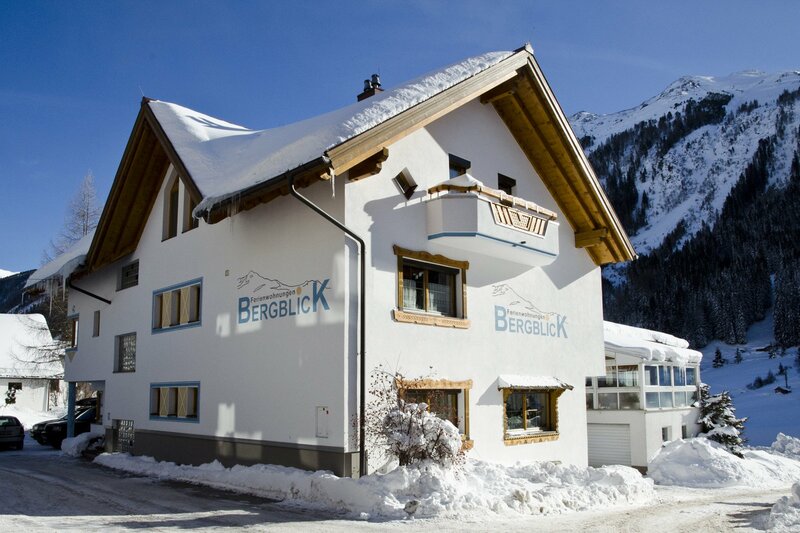 Come to our beautiful house and spend your well-earned holiday with us in Ischgl. 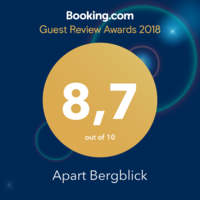 Guests of Booking.com rate us with 8.7 out of 10 points!